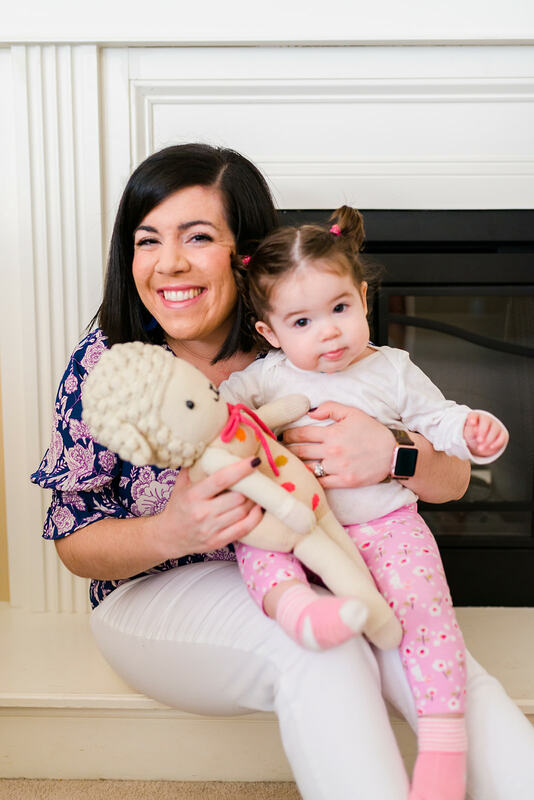 We first purchased a cuddle + kind doll for Charlotte for Christmas and she absolutely loved it! As soon as she unwrapped it she gave it a kiss which was just so sweet. I really love this company and the fact that these dolls are hand made by artisans and Peru, which helps give them sustainable income. 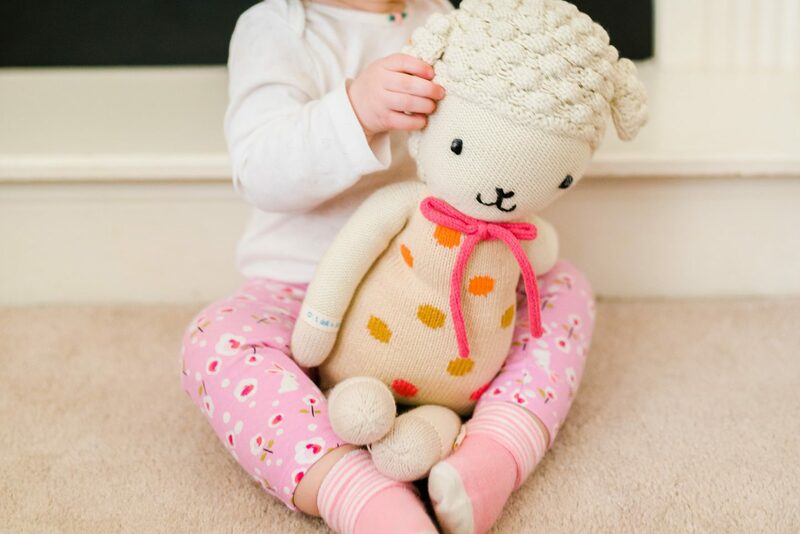 Not only that, for every doll that is purchased 10 meals are given to children in need which is truly amazing. 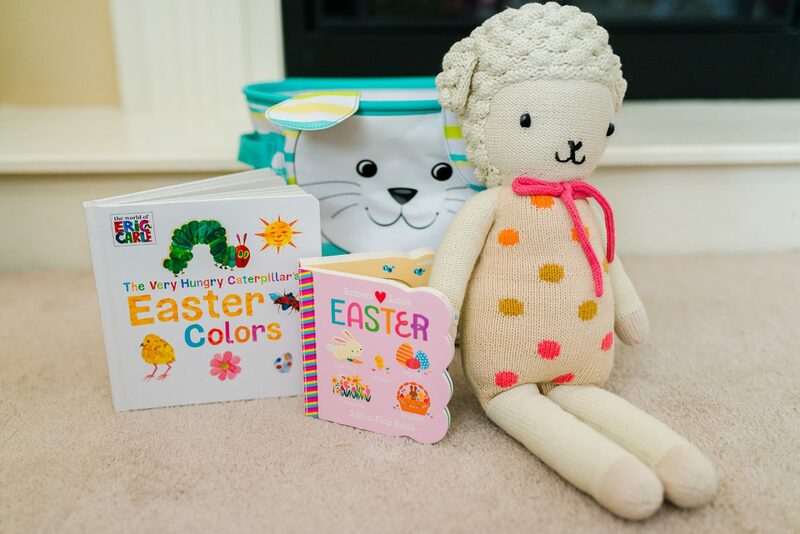 They have some really cute dolls that are perfect for Easter, including Lucy the lamb. 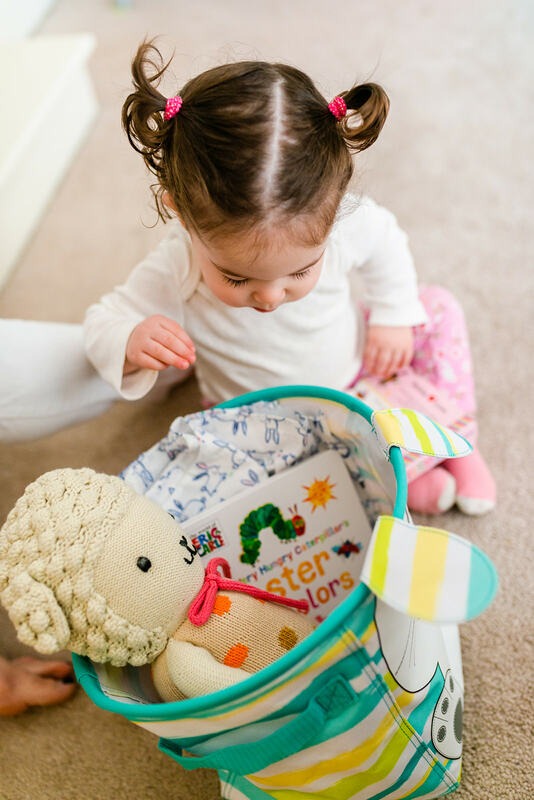 She is just too adorable, and it makes the perfect Easter gift. Charlotte is a big fan of books! 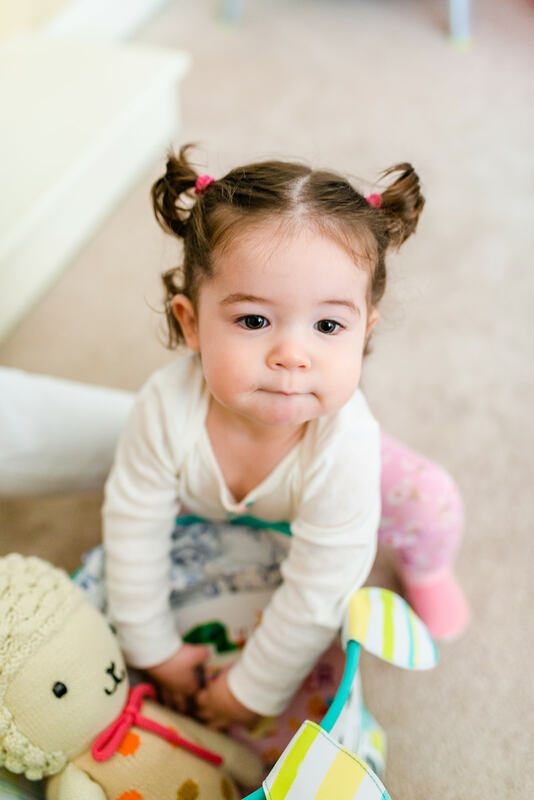 She loves to take a book off of the shelf and bring it over to us to read to her which is so sweet. 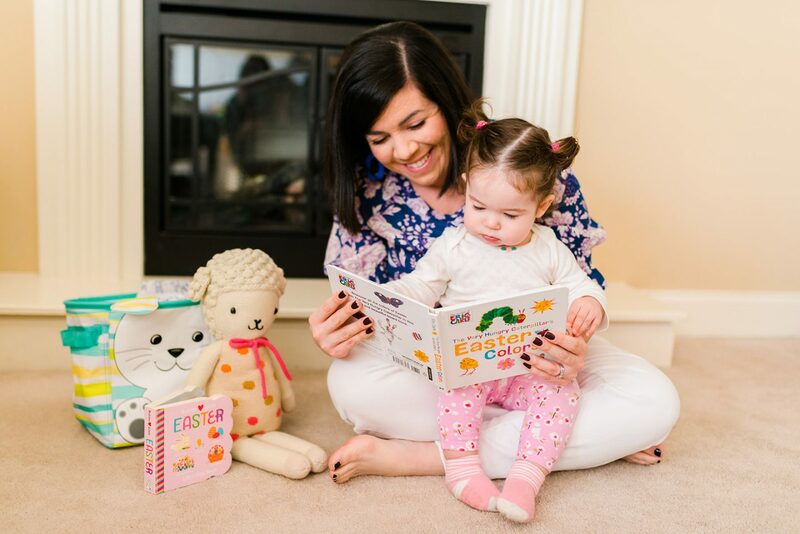 I love having different books for each holiday, and there are some really cute books for Easter including ‘The Very Hungry Caterpillar’s Easter Colors‘ which is Charlotte’s favorite. 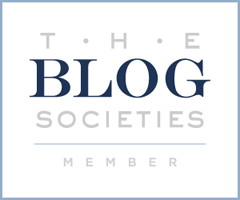 You can read about some of our other favorite books here. Clothes are always a winner, especially with how quickly kids grow out of them! I picked up a dress and this shirt for Charlotte for Easter, but I think they will look cute to wear beyond Easter too. What are in your children’s Easter baskets this year? 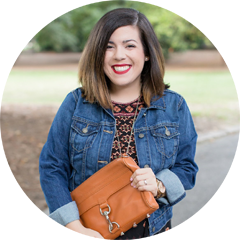 This post is in collaboration with cuddle + kind. All thoughts and opinions are my own.